Let me start out this Rose Week with a disclaimer for any new or visiting readers, I’m a rose lover. I love rose perfumes for their versatility. A rose can take on many roles. There’s also the long history of the rose. It seems like since the beginning of time, humans have been attracted to the rose. This doesn’t make it easy for the rose. Because of its popularity, the rose can come across as cliché. It seems that everyone has an opinion of the rose. What do I mean by “cosmetic rose”? Because of its popularity, a rose can be associated with cosmetics since it, along with violets and iris, have a long history of being used as fragrance for lipstick, powders and other things that may be found on a vanity. Even though there are still cosmetics manufactured with this distinive “lipstick aroma”, this still conjures nostalgia. There are so many perfumes (and as of recently, home fragrances) that are a genre of vintage cosmetics AKA they smell like lipstick (Malle Lipstick Rose, Maison Margiela REPLICA Lipstick On, Chanel Misia). Cosmetics were scented with perfume and now perfumes want to smell like cosmetics. L’Occitane Arlésienne has all of the aspects of a Cosmetic Rose expect for elaborate copy saying that it smells like cosmetics. L’Occitane doesn’t suggest this connection, instead they play up “femininity” and how this is a modern take on all of that. And I do agree that it is a more modern take on nostalgic notions of femininity. It’s like looking at some photograph of a woman in front of one of those Art Deco vanities from an era before your time and imagining what it would smell like, what she would have smelled like through the lenses (or nostrils!) of your modern life vs. what would have actually been authentic. Arlésienne opens with tart citrus and something that reminds me of rhubarb leaf. The opening is bubbly and you can hear it giggle like a happy little baby. As it wears, I pick up on a powdery mimosa (like the mimosa in Bvlgari Pour Femme). This is Rose Week and I know you are expecting big ‘ole roses. Arlesienne isn’t a huge, obvious rose. It’s one of those “cosmetic” roses. It’s like a powdery mix of violets and roses. It gives the impression of French dusting powders and lipstick. But, in comparison to other perfumes in the “smells like cosmetics” category, Arlesienne is more modern. It’s sheerness keeps it from smelling like auntie’s kisses. It dries down to a whisper of white musk and amber. What I like about Arlésienne in comparison to the other cosmetic roses that I own is that it has a sheerness. It’s a more modern take on lipstick, powder and girly-girl pink stuff. It’s like looking at picture of a woman sitting in front of an Art Deco vanity and imagining what that vanity, or that woman, would have smelled like through our modern perspective vs. what it/she would have actually smelled like. 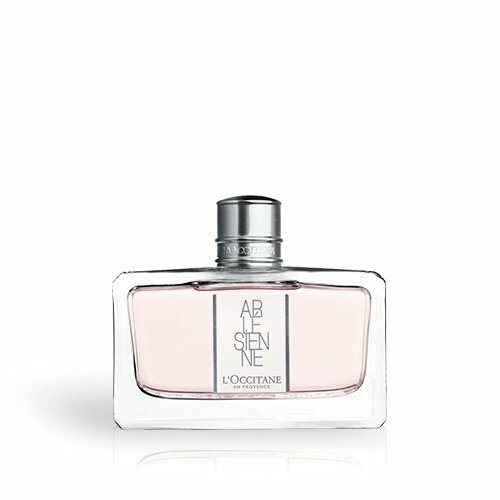 Give Arlésienne a try if you like violet/roses or delicate florals. Or perfumes like L’Artisan Drôle de Rose, Chloé, Love Chloé Florale, Burberry Body, Bond No. 9 Park Avenue, Bvlgari Pour Femme, Bvlgari Rose Essentielle and/or YSL Paris. Also, note that I’m reviewing the newest, relaunched version. This 2016 version is slightly different than the 2014 but overall it shares the same DNA. This is an EDT. Projection and longevity are below average…but I guess that’s average for an EDT! The 2.5 oz retails for $69 at L’Occitane and Amazon. Bath and body products are also available in this fragrance. Victoria’s Final EauPINION – A dusting of a face powder and a dab of lipstick on the lips and cheeks – a powdery rose and violet. I don’t know why I am attracted to these sort of perfumes, but I am. In a world that can feel so heavy, it’s really nice to be able to wear something so light and playful. *Product purchased by me. Product pic from the brand. Janet Blair pic from lipstickandcurls.net. Amazon is an affiliate link. Thanks! I got a sample of the English Laundry Pourfemme in a Ipsy bag last week the minute I sprayed it on I knew I would want more!! Can’t wait to get my order in the mail! !